Happy Friday everyone! I can’t believe it’s the final weekend before Thanksgiving and the official start of the holiday season! This year has to have flown by faster than any other year I can think of. We will be celebrating Thanksgiving a little early, opting for a family dinner at my Dad’s house this Sunday and then at my Mom’s house on Monday. They both live 3-4 hours away so we don’t travel down to see them very often with the kid’s busy school schedules. I’ll still be doing most of the cooking, and then on Thanksgiving we will be back up at home and have been invited to my friend’s house to feast – and I’m planning on bringing a variety of appetizers to snack on, so I’ve been collecting recipes on Foodie.com. Who doesn’t love munching on meats and cheeses? 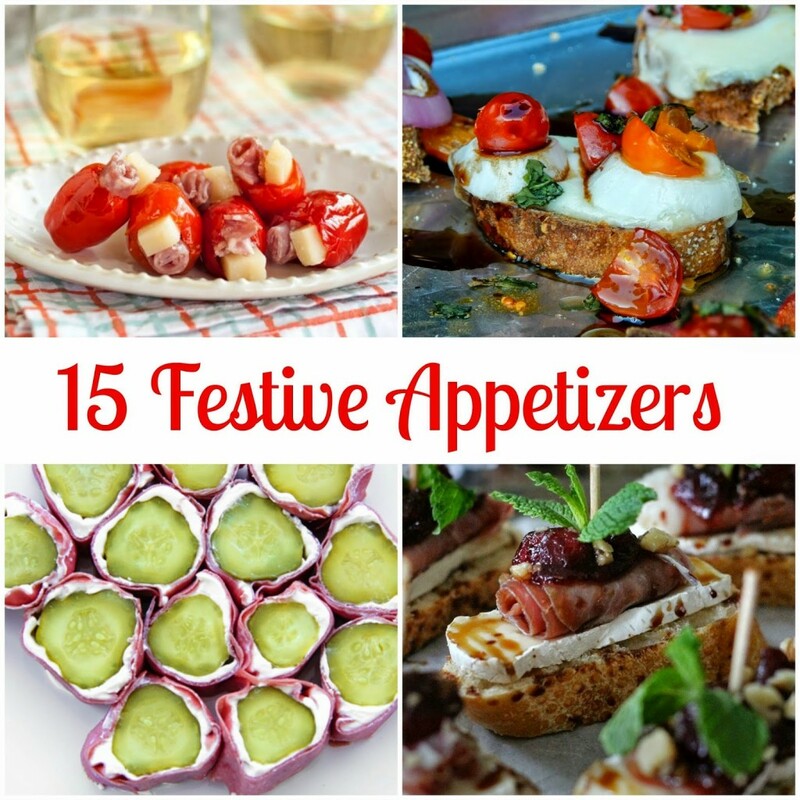 Appetizers are sometimes my favorite thing from a holiday feast! There are a several staple ones that I make every year, like the bacon wrapped Lil’ Smokies and meat and cheese pickle wraps, and of course a big meat and cheese platter, but then I like to find a couple of others to serve as well – I make the stuffed sweet peppers one year and it was a huge hit! Sometimes I feel that everyone is so busy prepping for the ‘big’ meal that appetizers get a little bit forgotten, and they shouldn’t be! I think it’s because in some cases they are tiny bites of art pieced together into a pretty presentation. What are your go-to appetizers to make? Do they differ during the holidays versus the rest of the year? (More festive?) I’d love to hear!